Welcome to the first part of our international PR series providing insight into PR trends and local differences in PR practices from more than 20 countries*. 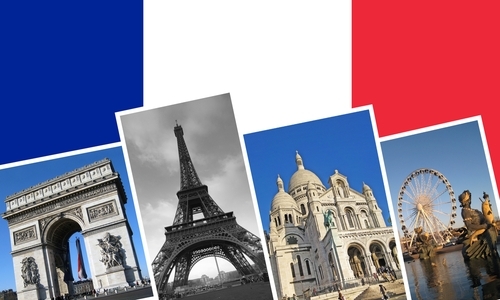 Learn why you have to think French in order to do successful PR in France, how to get time challenged journalists to take time for a product launch event and become aware of the difference in Northern and Southern European punctuality in today’s interview with French PR expert Sandra Labérenne. 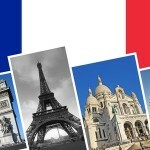 Sandra Labérenne: France is one of the leading European countries in regard to blogging. Therefore it comes as no surprise that Blogger relations, Online PR and Social Media are very important for our local market and nowadays nearly all customers ask for social media support. Although the programs are a bit more developed and pro-active in the B2C markets and more responsive in the B2B markets. We have discovered that the web 2.0 is changing the way of doing PR. Blogger relations are for example very different from media relations. Sandra Labérenne: In France we work especially with bloggers. We search for the most followed ones and are focussed on finding trendsetters. We also consider it very important to build up a good relationship to those bloggers we have in our blogging program. This means we try to meet them and talk to them in person, not only via mail or phone contact. Regarding the difference between blogger and media relations: for example the material you provide to bloggers has to be much more tailored to their individual interests and to their specific blog than material you send out to the press. We also use video material to support campaigns on channels such as Dailymotion and Social Media channels such as Facebook. These examples have been used in a UNESCO PR campaign supporting the avant-première of a film called “Nous resterons sur Terre”. 3. Can you give us a recent example from a project? Sandra Labérenne: We recently had a campaign for a company introducing their electric bicycles. The campaign appealed to the people to leave their car at home and use the bicycle instead, when wanting to drive only a few kilometres. Especially in Paris people seem to drive every short distance by car which results in a heavy traffic – you could even be faster by bike, especially with one which you can use as a normal bike but switch on a motor for support if you are tired or need to go extra fast. For implementing this campaign we organized exhibitions and events supported by a Social Media campaign. We created a facebook fanpage and we fed videos to Dailymotion, the most popular video portal in France, regularly. We even had a contest between editors of several magazines. They tested the cycles and had a race, and the winner was allowed to keep his bike. Read more about regional differences in PR – and why companies can save themselves a lot of nerves and trouble by not forcing French journalists to participate in phone conferences but to enjoy the advantages of a lunch meeting with excellent French food instead – in part 2 of the interview with our French PR expert Sandra Labérenne next week. 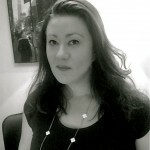 Sandra Labérenne is Managing Partner of Point Virgule in Paris – GlobalCom PR Network’s Partner in France. Sandra has worked in the PR industry for 15 years and has a background in Communication. Created in 1989, Point Virgule became one of the most important independent French PR agencies. For more than 19 years, Point Virgule has been helping hundreds of clients to build and improve their image and brand awareness and to become market references in the mind of journalists and potential customers. Among the clients Point Virgule works for are companies like Yingli Green Energy, Dimension Data, Akamai, LSI Logic, Alatavia, Fullsix Group, etc.